Adirondack chairs situated across from the Athabasca River to enjoy the magnificent serenity and spectacular views. 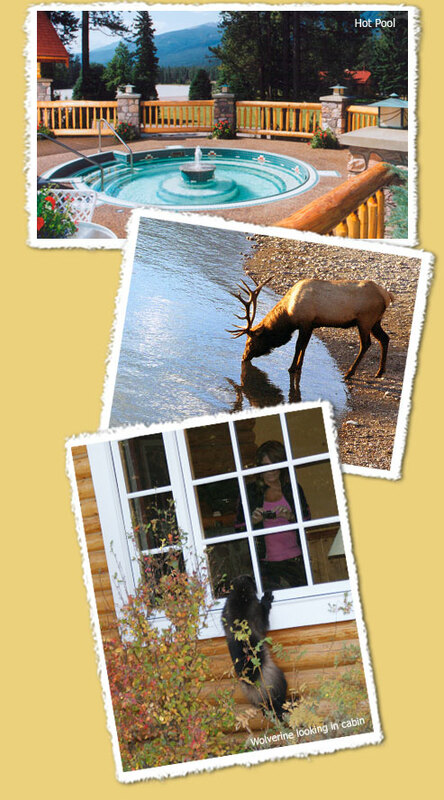 Wildlife frequent the resort including elk calving in springtime or rutting in the fall. The occasional sightings of bears, deer, coyotes, wolves can be witnessed from the safety of the cabins. Excellent off-season rates and weekly rates. Wood-burning fieldstone fireplaces in most cabins with the choice to purchase pre-packaged firewood or chop your own firewood. Outdoor 16 ft. hot pool with large deck area overlooking Athabasca River and surrounding valley. Private decks and barbeques with most cabins. Conveniently located just 2 km south of Jasper Townsite and alongside the Jasper Trails Project, a hiking trail surrounding Jasper & area. Enjoy nearby attractions and activities such as Mt. Edith Cavell, Columbia Icefields, Maligne Lake. Marked trails surrounding the property. General grocery items available on site. Selection of books and games. 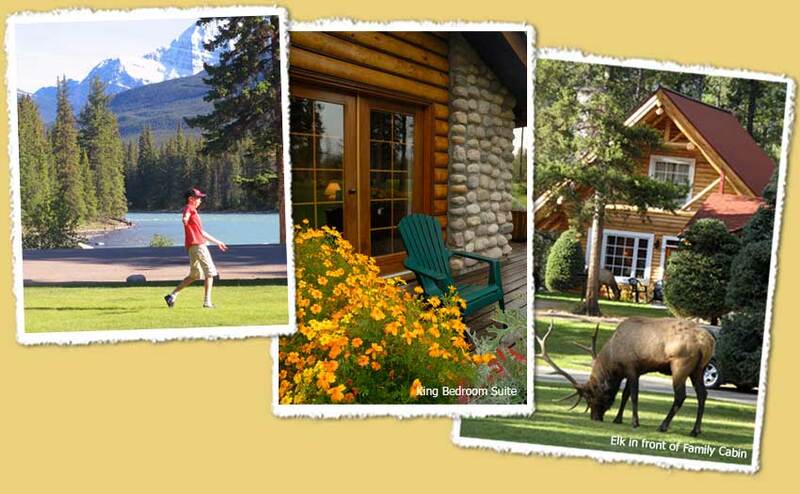 Three Diamond CAA/AAA Approved Accommodations, #1 on Trip Advisor, winner of numerous Travel Alberta and Alberta Hotel Association Awards. Alpine Village "Thinks Green" practicing recycling, reusing and reducing plus is a strong supporter of the Friends of Jasper National Park and their projects including the Pyramid Island and Cavell Meadows Restoration Projects. Alpine Village is a non-smoking resort. Complimentary wireless internet; intermittent signal due to location. "There is limited wi-fi in the forest, but we promise you'll find a better connection with nature!" "Part of this borealis universe definitely belongs to me and part of me will belong to it forever."